Eventually the unpleasantness resolved itself. 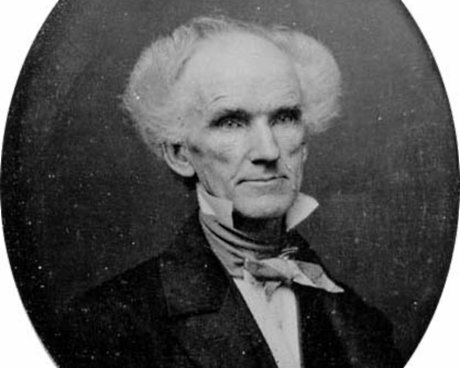 When Patterson asked the Treasury Secretary, William M. Meredith, to fire Longacre, Longacre met with Meredith in Washington, D.C., to tell his side of the story. Meredith realized that the reports he had been getting about Longacre were not true, and when Patterson tried again to get Longacre fired, Meredith did nothing. In 1851 Patterson was replaced as Mint Director, and a few years later Peale was fired on charges of corruption. With Peale and Patterson gone, Longacre’s career at the Mint became much more satisfying and uneventful. Unfortunately, Longacre’s wife Eliza had died in 1850, during the height of the unpleasantness at the Mint. 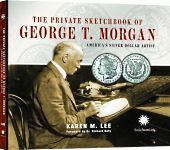 It was during this time that he designed the three cent silver (1851) and three cent nickel (1865) coins. 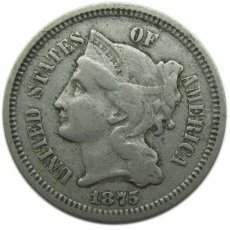 In 1866 the government of Chile asked for the United States’s help in revamping their coins to make them more modern and attractive. Many U.S. coins had found their way to Chile during the Civil War, and Chilean government officials felt that their own coins compared very unfavorably to their U.S. equivalents. President (Andrew) Johnson’s Administration agreed to help Chile, and Longacre was hired to perform the redesign. Longacre created a total of four gold coins and five silver coins for the government of Chile, and these coins remained in circulation there until the 1890’s. James Barton Longacre continued to work as Chief Engraver until his sudden death on New Year’s Day, 1869. He was seventy-four years old.